15-year-old Millicent Simmonds made her film debut in last year’s Wonderstruck. In Todd Haynes’ period-hopping drama, Simmonds plays a young deaf girl who runs away from home to visit her idol, a silent film star. She followed up that performance with John Krasinski’s A Quiet Place, a survival thriller set in a post-apocalyptic future. In the surprise horror hit, Simmonds stars as Regan Abbott, a girl whose family is forced to live in silence to evade alien-like monsters that hunt by sound. Regan was written as a young deaf girl in the script, and Krasinski pushed for authentic casting by hiring Simmonds, who is deaf in real life. 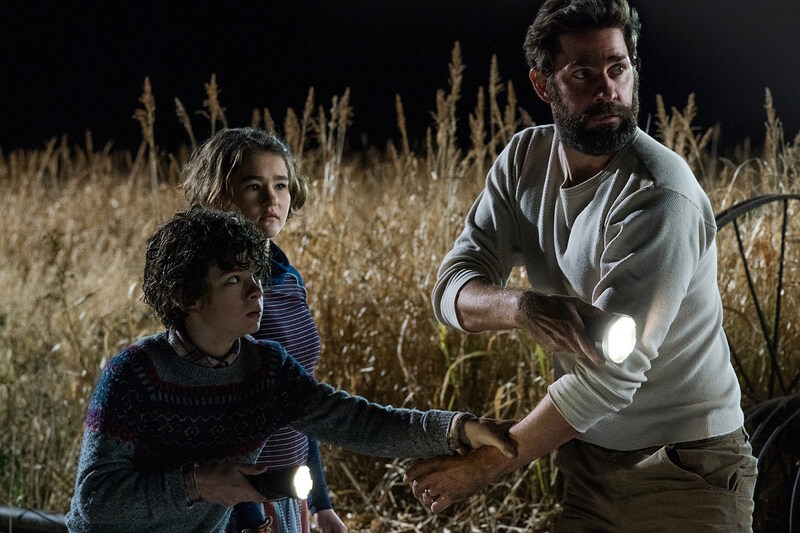 She ended up teaching Krasinski and the rest of the cast, including Emily Blunt and Noah Jupe, American Sign Language, which the Abbott family uses in the film to navigate their monster-infested surroundings. I sat down with Simmonds to talk about her role in the horror movie in time for the film’s home and digital video release. After she signed some classic horror movie quotes, she told me about the scariest scene to shoot, what it’s been like to bring more visibility to the deaf and hard of hearing community in Hollywood, and her ideas for A Quiet Place 2 (which, yes, is officially happening). She also told me her theory about the cliffhanger ending – you’re warned of SPOILERS if you haven’t seen it yet. A bit of a fan. I love Signs, for example. I thought that was a really cool film. Signs is great. And A Quiet Place takes a lot of inspiration from it. Yes. There are a lot of similarities. They both happen in a rural environment, and they use radio signals to, you know, defeat the aliens. So it’s interesting, right? What was it like to work with John Krasinski as a director and to have him play your dad in the movie? As a director, he’s very knowledgeable. He knew exactly what he wanted to do. He’s very precise, very detailed, and also very open to new ideas and suggestions. He’s a really good person. And as an actor, he’s very down to earth. I mean, he spent time with us, really helped us find our characters. He would say, “If this were happening, how would you feel? How would you respond?” He really helped us explore different options for the characters. ASL is so important to the entire family in this. What was it like to be on a set where the cast knew and was communicating in ASL? It was a lot more fun because I could say whatever I wanted to. We had direct communication. We also had an interpreter on set. We also had a deaf ASL advisor who helped translate the lines into sign language. It made it a lot more fun to be on set. I was reading an interview with Emily Blunt where she said the house you shot the movie in was really creepy and dusty. It was. Definitely. It was really weird. In fact, they used the picture of Noah and I – they took actual pictures of us and of the baby, of the actual characters’ younger brother. They put pictures on the wall. So when Emily Blunt goes upstairs you see our actual pictures as part of the family pictures on the wall. But to be in there, it’s dark, it’s really scary, you could feel this presence that was very unnerving. Was there a scene in particular that was the scariest for you to shoot? I would say the scenes in the basement with Emily. They were hard scenes, and they were hard scenes for me to do. And it was very scary because the monster was actually in the room about to kill us at any moment and we’re trapped. We can’t do anything. That was hard. While we were shooting on set too it was very hot, we were very cramped. It was very small quarters with the full crew. So yeah, it was a little uncomfortable. What was your experience like watching the movie? I was surprised. Because on set I imagined this story, I only see it from my character’s view. I see my lens of this story. And then when I saw the film I saw, “This is John’s world.” I saw his complete vision. I found it very fascinating, and the monster was different than I imagined. We saw, you know, mockup drawings of the monster, of the alien, but it changed a lot in production and that was a big surprise. It must have been amazing to see the monster for the first time on screen. John has talked about a sequel. Do you know if your character would come back? I have no idea. I think it would be more interesting if we see what happens in the future to other families. What challenges do they face? How do they survive, or even if we did a prequel – what happened before? What was the first day like when the aliens landed? If you were to return, what’s something you’d want to do with your character that you didn’t get a chance to do in this movie? I think I would go out and find other families, find other people. I think that’s what this character would do. When John is sitting on the silo, that scene on the silo when he sees the fires, when he sends message through the fires, I think this character would try and track those fires and find the people. Or maybe I would devise a way to make the [cochlear] implant even stronger, a stronger weapon and use that to my advantage. That’d be awesome because you’re really the hero of this movie, and her implant is what saves the family. The movie ends on a pretty big cliffhanger where the monsters are rushing towards the basement. What’s your theory on whether or not the family survives? I never think about that. I actually keep wanting to fast-forward. But in that moment, I think Emily has the gun and I have my speaker and my implant. I think that maybe we could beat them this chance. I think there are only two monsters. I also loved your performance in Wonderstruck. It’s exciting to see Hollywood cast a deaf actor to play deaf characters, which doesn’t happen often enough. What’s your experience been like being a part of representation that hasn’t existed very much in Hollywood? A lot of people have been so kind to me. So nice, so welcoming and eager to help me. They’ve given me support all of the way and I’ve met so many amazing people. My interpreters, the directors from Wonderstruck and from A Quiet Place. I’ve become friends with Noah [Jupe] my co-star, he’s just a one-of-a-kind person. I’m so lucky. I never really expected that this would happen. So I’m just an extremely lucky person. I have so many people behind me and it’s not just me. I mean, there’s Shoshanna Stern, and Nyle DiMarco, and Josh [Feldman] from This Close. And I like that. I like seeing more people out there doing it. Is there an ideal role you want to play in the future? A dream character? I want to be a bad person. [Laughs] Maybe a spy that’s a double agent. Maybe an assassin. Something dangerous. 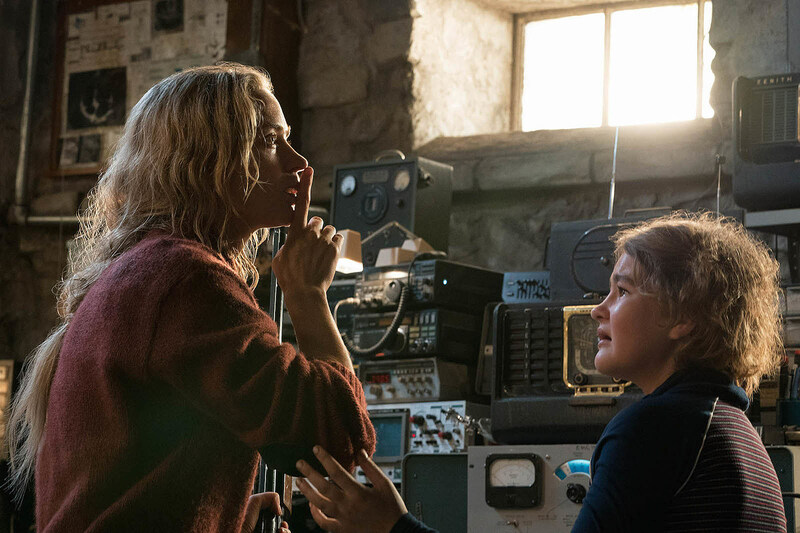 A Quiet Place is now available to rent and stream digitally, and to buy on Blu-ray, DVD, and 4K Ultra HD.